Please indicate if you want a solid pale pink heart or double heart outline when ordering. We can also use light tan/beige for the hearts. FRONT: Wood stand for 6″ tiles – $4. 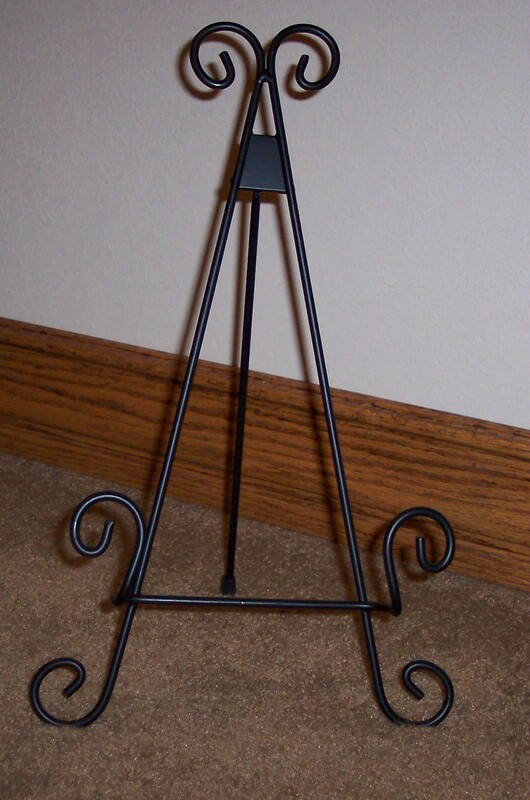 BACK: Regular Metal Stand/easel for 12″ tiles – $6. 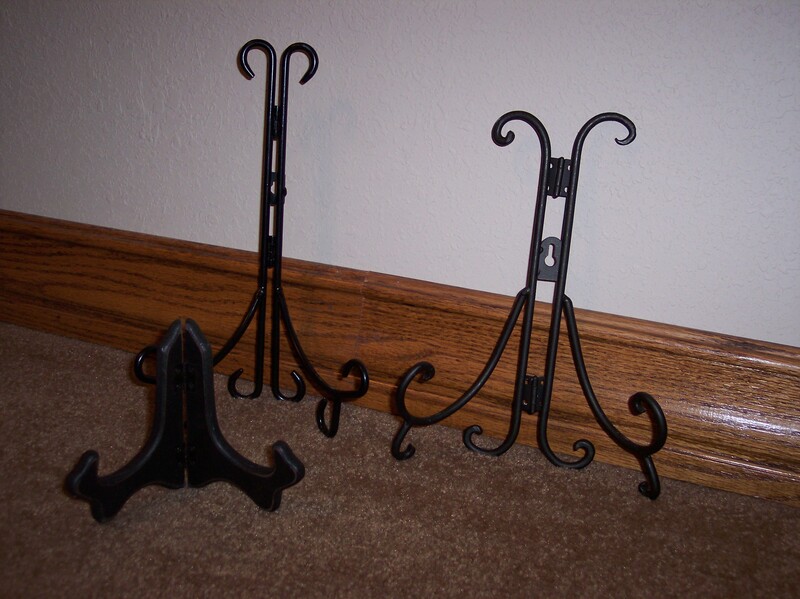 Both of these stands fold in half — book-style. 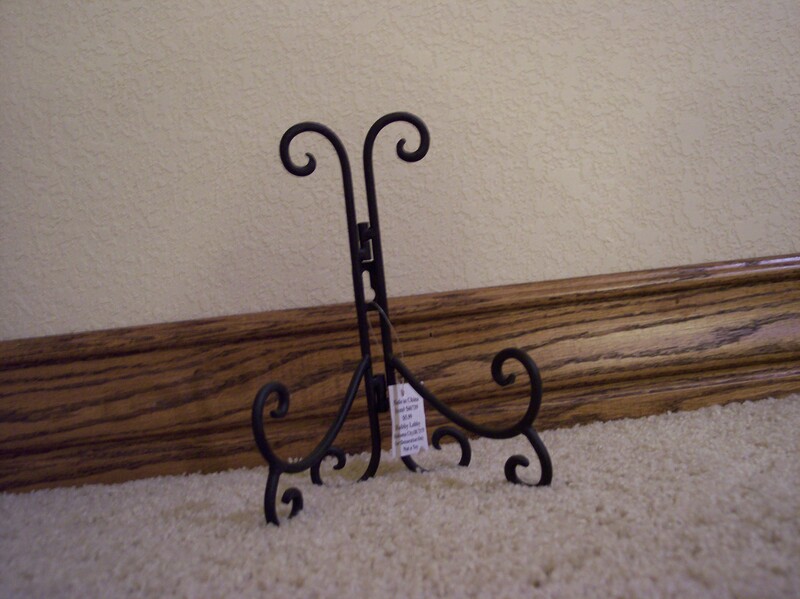 3-legged easel stand for 12″ tiles or 6″ tiles – $7. 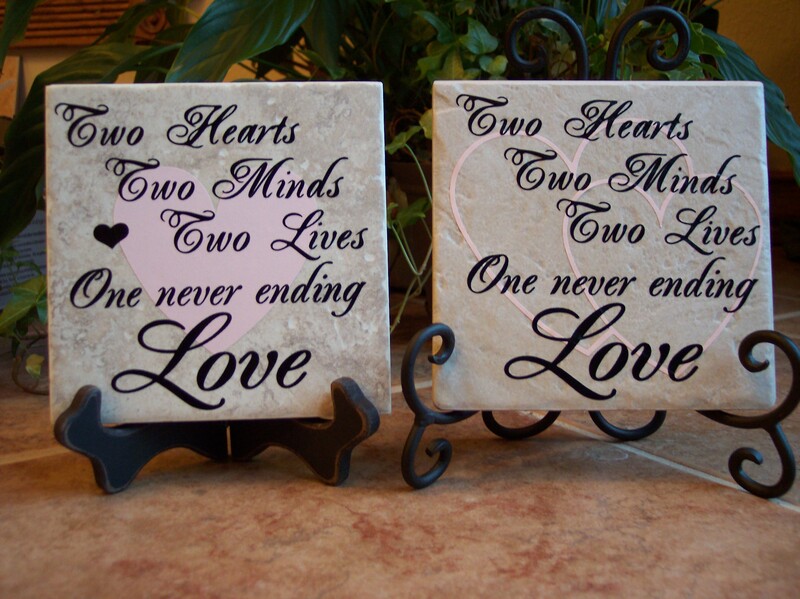 NOTE: You might not like this easel with all tile designs because the curly metal swirls at the bottom come up in front of the tile, and sometimes they cover up words on the tiles. 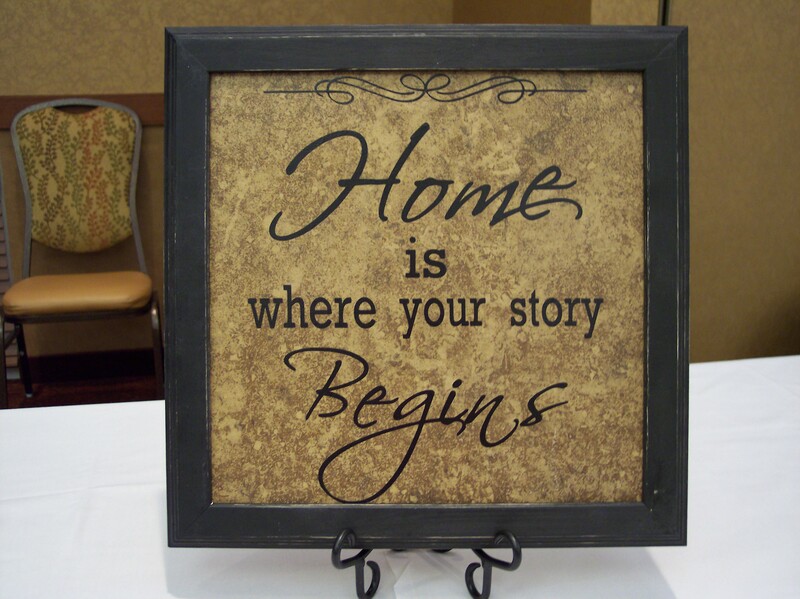 If you are considering one for you tile, contact us, and we can email you a photo of your tile design sitting on this type of stand so you can see it before you purchase one.